Why suffer a night on a mattress that is too firm? 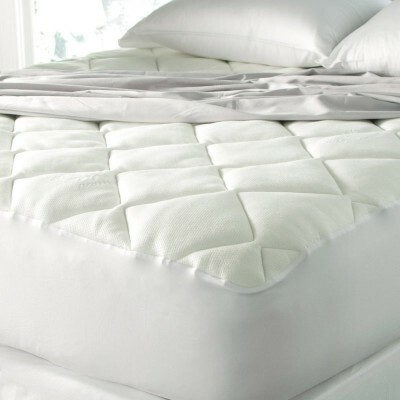 Made in the USA - this extra soft mattress pad is super thick. The bamboo blend* top quilted fabric is silky to the touch and helps transport body heat for a more comfortable night's sleep. Why suffer a night on a mattress that is too firm? 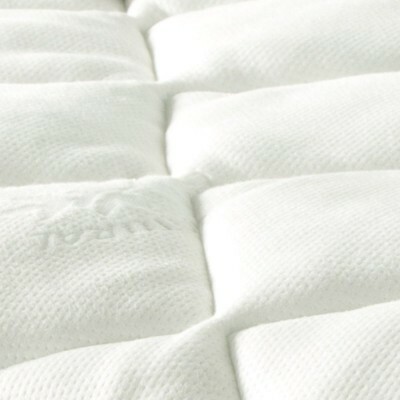 Made in the USA - this extra soft mattress pad is super thick. The bamboo blend* top quilted fabric is silky to the touch and helps transport body heat for a more comfortable night's sleep. Our SureGrip skirt hugs the mattress, resulting in the perfect bed topper. Can be used in combination with feather beds. 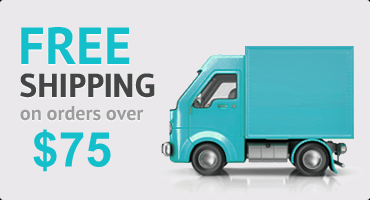 This item does not ship compressed - so no guessing game as to how thick it will be on the bed. Bamboo Blend* Information: Top fabric uses a stabilizing polyester yarn base with the Bamboo from Rayon Viscose yarns woven on top. This is one of the most silky fabrics we have seen in top of bed bedding next to TENCEL. Due to the large size of the item we suggest washing at a commercial laundry mat. Do not use fabric softener nor dryer sheets when washing and drying.